Every year, Cloud Computing Magazine publishes a list of companies that, in their expert judgment, effectively leveraged cloud computing in an effort to bring new, differentiated offerings to market. This year, Monet Software was selected to receive a 2013 Cloud Computing Excellence Award for Monet WFO Live. 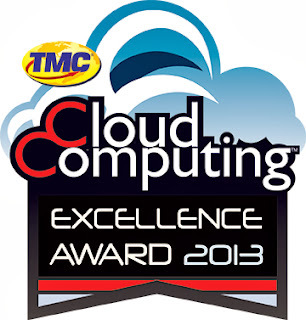 “I am pleased to recognize the companies that have exemplified innovation and excellence in the market by leveraging the latest technology trends to create an enriched user experience,” said Erik Linask, Group Editorial Director for TMC, the company that publishes Cloud Computing Magazine. Monet WFO Live incorporates workforce management tools to improve scheduling and service levels, call recording capabilities for compliance, and quality assurance to help managers better evaluate the performance of their agents and the call center as a whole. From forecasting and exception planning to call tagging, reporting and analytics, Monet WFO Live is a one-stop source for call center efficiency, accessed through the cloud for better convenience and lower upfront cost. For more information, please read the official press release and watch a video about Monet WFO Live in our resource center. To be recognized by one of the industry’s definitive sources for Cloud technology information is an honor we are proud to accept.